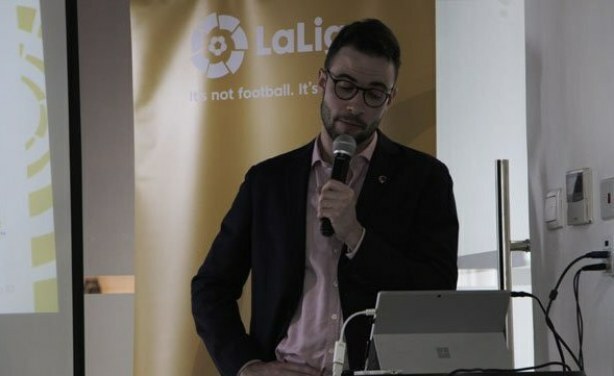 Oliver Dodd, the La Liga's Representative in Kenya, has said the academy would preferably be established in Nairobi. Dodd added that La Liga is working with giant telecommunication firm Safaricom to harness some of the best talent spotted from the annual Under-20 Chapa Dimba Na Safaricom Tournament. La Liga East Africa representative Oliver Dodd presents the league’s blueprint to football stakeholders at Park Inn Hotel, Nairobi on December 5, 2018.